Ron Howard takes a serious stab at directing comedy in “The Dilemma,” which pays off well for the actor turned director. Howard, best known over the past couple of decades for more dramatic films, returns to his comedy roots and produces many laughs from a serious subject. Ronny (Vince Vaughn) and Nick (Kevin James) have been best friends since school, and are now working together in their own auto design firm. Things start to get serious when they land the biggest meeting of their careers with Chrysler, to design an electric engine with the sound and feel of a classic muscle car. Just when timing is everything, things couldn’t get worse for the project. With their deadline quickly approaching, Ronny spots Nick’s wife Geneva (Winona Ryder) with another man. He must decide whether or not to tell his best friend before they land the big job, while trying to maintain a relationship of his own with girlfriend Beth (Jennifer Connely). 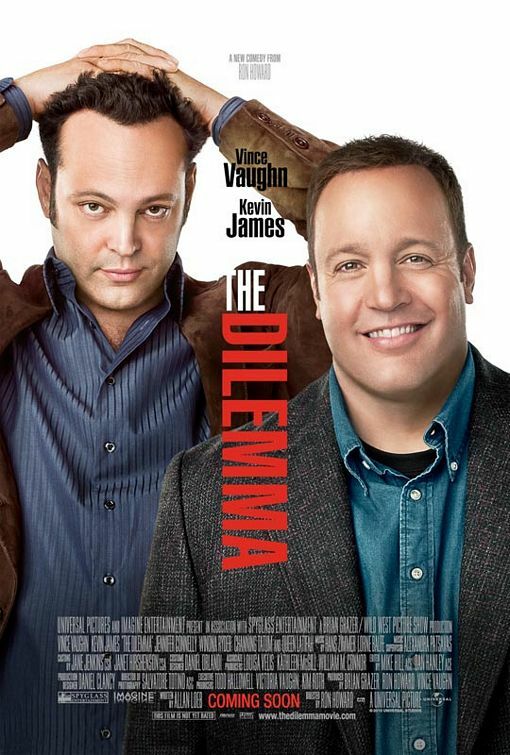 At first I wasn’t sure what to expect from “The Dilemma.” On one hand, it looked like it was going to be another silly comedy without many redeeming qualities. As good of comedians both Vince Vaughn and Kevin James are, in that order, the two of them haven’t always made the best choices when it comes to movies. With that being said, the film far exceeded my expectations. I should have given Ron Howard more credit, as the guy has been in TV and movies for his entire life. He definitely knows what he is doing as he sets a more serious tone than found in a typical comedy, which was a great choice. 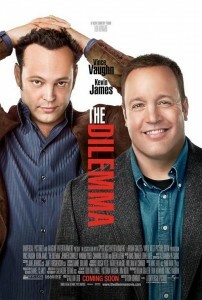 Vince Vaughn does a tremendous job in the lead, and keeps the pace going smoothly. He is extremely likable in the role, appearing very charismatic and real while on-screen. It is easy to relate to his character during many parts of the film, and I could appreciate the situation that he was in. Honestly, the story was pretty unique and interesting, and the choice of Vaughn was perfect. Kevin James does a good job in a role that seems pretty common for the actor. James plays an overweight, goofy guy who doesn’t mess around when it’s time to get down to business. At this point, he seems more like a character actor to me – but fits the role well enough. I think a lot of credit needs to go to the ladies who star in the film, Jennifer Connely and Winona Ryder. They do a great job as they stay in the dark, while Vaughn’s character triess to figure everything out. In the end, “The Dilemma” is a fun comedy that will surely make for a great date night. Ron Howard does well with comedy, but I wouldn’t be surprised if he returns to dramas for a while. Vince Vaughn really makes the movie, and the situations that he gets in are pretty much priceless.